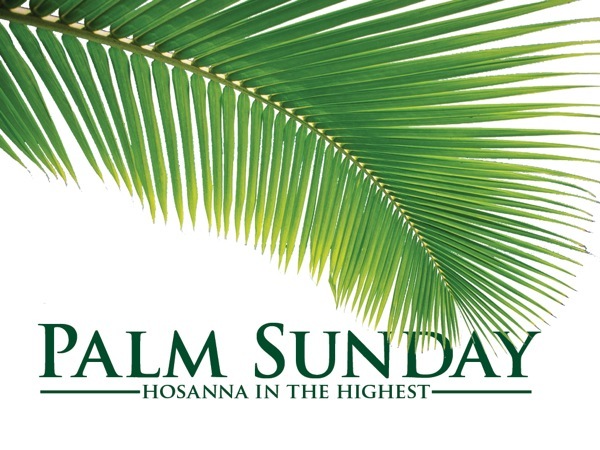 On Palm Sunday, the liturgy offers a panoramic view of the mysteries that we will contemplate during Holy Week or Paschal Triduum: the institution of the Eucharist, the passion and death of the Lord, and the prediction of His Resurrection. “This is Jesus, the prophet from Nazareth in Galilee!” explain some to those who ask why the commotion. We can imagine the Twelve somehow confused and bewildered. The Master has been saying that his time of suffering is near, and is the reason for His coming to Jerusalem. 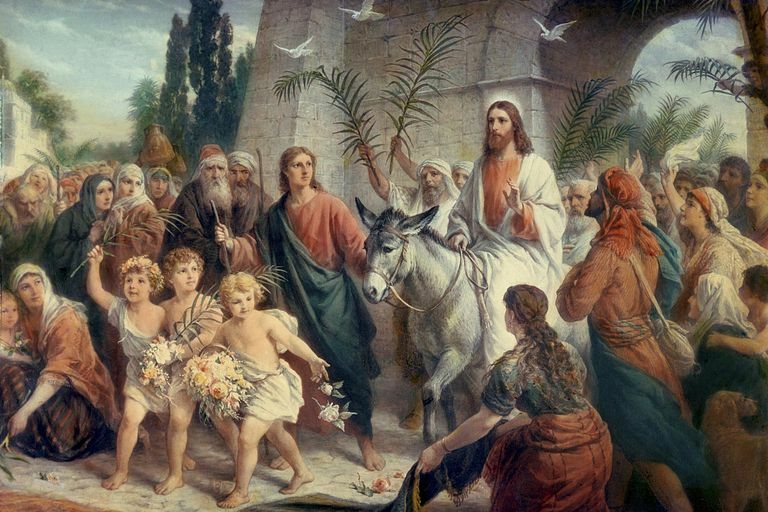 However, for the moment, all is praise and welcome with cloaks and branches spread on his path where he rides a humble donkey. But all of this stays behind as inside the Mass we focus on the moment when Christ will celebrate the Passover with his closest friends. First, Jesus leaves us the treasure of the Eucharist, how he wants us to remember him and make himself present to us. Then, we witness Judas’s betrayal, as he sells Jesus for money though he later regrets it. We see betrayal by Peter, who rejects Jesus three times lest he suffer the same fate. The weakness of Peter and the other apostles is again exposed when they cannot stay awake and accompany Jesus in prayer in the Garden of Olives, despite his plea that they do so. Thus, it becomes clear that it is not out of merit or strength that Jesus has chosen them for the mission and that without Him and His Spirit they can do nothing. The readings leave us in a suspense that will only be resolved at the Easter Vigil. What is going to happen now? Christ is dead and buried. Nevertheless, they still offer us additional teachings. The first is that among all of Jesus’ followers, the only ones that have accompanied Jesus from beginning to end are a group of women very close to Him. They accompanied and served him during his preaching and on the way to Mount Calvary with the cross on His shoulders. They accompanied His grieving mother at the foot of the cross and now mourn His death in front of the tomb. Scripture’s noting of the fidelity of these women toward Jesus is not gratuitous. And, as we know, Jesus will reward this loyalty by allowing that a woman be the first to see him and testify to his Resurrection. Finally, the Gospel points out that the story does not end here. The priests and Pharisees, knowing that he had said he would rise from the dead in three days, take every precaution to prevent anyone from stealing the body and claiming that Jesus has risen. Not only do they request guards, but they seal the entrance to the tomb. With this, the readings prepare us to realize on Easter Sunday that if the tomb is empty, it has not been the work of men. May the Lord allow us to accompany him serenely during these Easter mysteries and may we emerge from them renewed in faith, hope and clarity. Amen.